(TibetanReview.net, Aug24, 2016) – Chinese authorities in Ngaba (Chinese: Aba) County of Sichuan Province had on Jul 28 called a meeting of the heads of all the local monasteries and issued a handbook of rules against monks engaging in any kind of prohibited activity. Included in the list of prohibited activities was said to be all forms of protests, including holding of silent marches, self immolations and the use of pictures of the Dalai Lama – all having been deemed to be disruption of social stability. 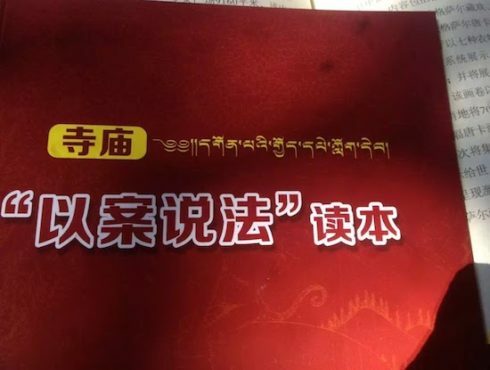 The handbook, written in both Chinese and Tibetan, also prohibits monks from “leaking state secrets” and “engaging in separatist activities” by sending banned information to outside recipients. At the Kirti Monastery, all the monks were given a copy of the handbook, said the exile Tibetan administration at Dharamshala, India, on its Tibet.net website Aug 22.